BSM Media came up with a creative surprise and delight campaign for At Home stores with the goal of building awareness and buzz for the brand among college students. 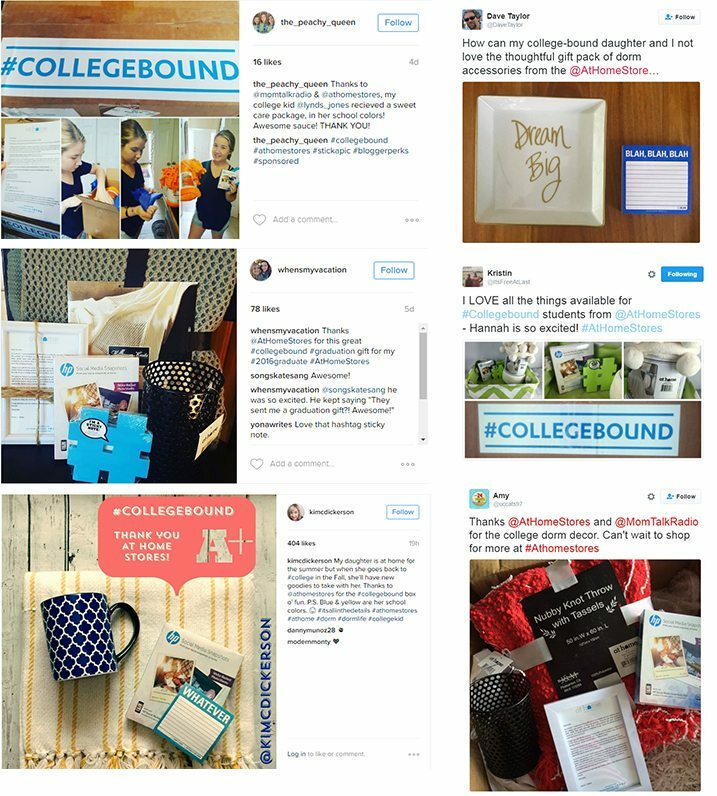 We sent #CollegeBound personalized congratulatory boxes to the Millennials’ homes filled with accessories from the home décor superstore that could be used in their college dorms. The 55+ congratulatory mailers generated hundreds of thousands of impressions on social media, truly expanding college student awareness for At Home stores.